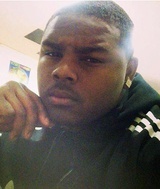 Posted May 26, 2016, 3:16 p.m.
Posted Feb. 29, 2016, 6:12 p.m.
Andrew Gregory Bender, a 19-year-old black man, died Tuesday, Feb. 9, after he was shot in the 8500 block of Cedar Street in Bellflower, according to Los Angeles County coroner’s records. On Jan. 27 about 9 a.m., Bender and a friend were walking from a liquor store to a gathering at a nearby house. As the two men walked back, a gunman ran up behind them and opened fire, said Det. Eduardo Aguirre with the Los Angeles County Sheriff’s Department. Bender was hit while his friend ran for cover, Aguirre said. The friend was not injured. After firing several rounds, the gunman ran to a vehicle and fled the area, Aguirre said. Bender was taken to a local hospital. On Feb. 9, he was pronounced dead at 8:16 a.m., according to coroner’s records. Detectives believe Bender was targeted because of his affiliation with the Neighborhood Compton Crips, Aguirre said. Investigators believe the gunman and driver are black men in their 20s. Anyone with information is asked to contact the sheriff’s Homicide Bureau at (323) 890-5500. Those wishing to remain anonymous should call Crime Stoppers at (800) 222-8477. — CoMpToN_KiD Dec. 5, 2017 at 5:33 a.m.
Anthony king was convicted, when is his sentencing ? if it occurred already, what was the time given by the judge? — brian martin June 24, 2017 at 2:19 a.m.
— A June 3, 2016 at 11:40 p.m.
— Bri May 27, 2016 at 3:52 p.m.
— Cyana May 25, 2016 at 3:34 p.m.
Andrew G. Bender, affectionately know as (Head), was a kind a gentle youngman, he was a football player at Long Beach Poly, he loved Sports, basketball, football, skateboarding, and paintballing. Head also loved his Friends and family, and his life mattered to all who loved him. R.I.P my nephew, we will see you soon. — Yolanda Mahone March 2, 2016 at 5:47 a.m.